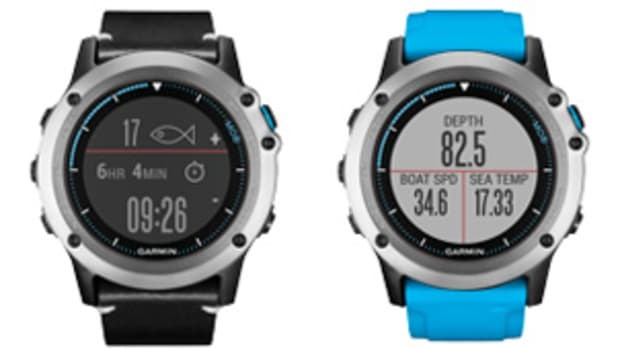 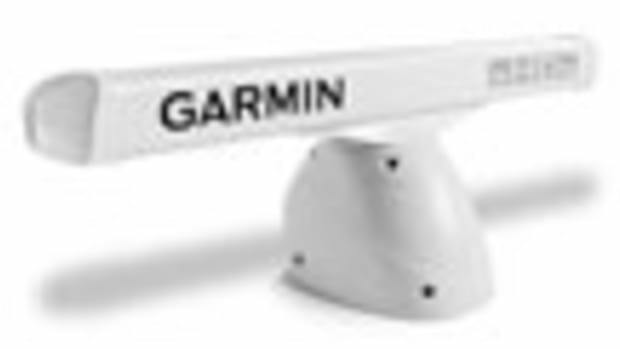 ● Garmin released new versions of its proprietary BlueChart cartography earlier this year, and improved the accuracy of its underwater structural details, including 1-foot HD fishing contours. 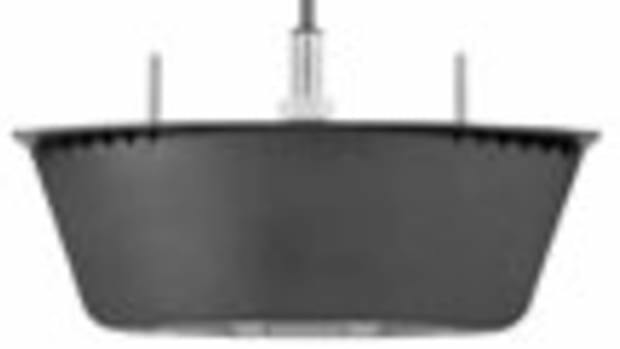 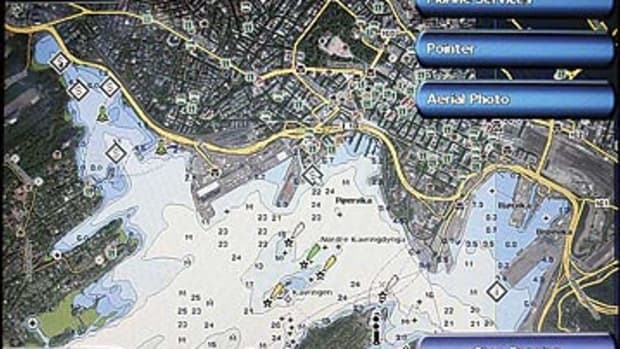 The result is enhanced depth contours and accuracy surrounding currents and navigational aids. 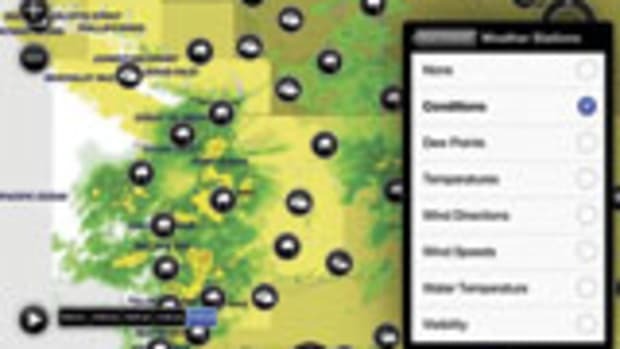 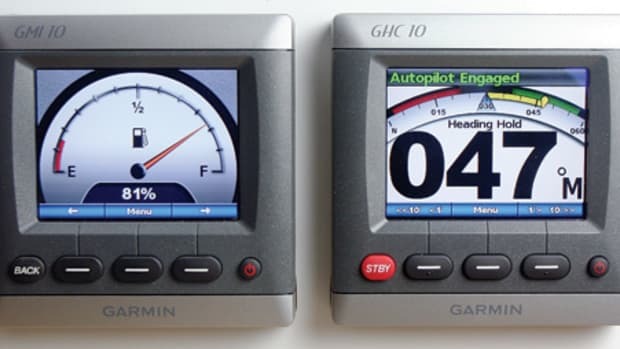 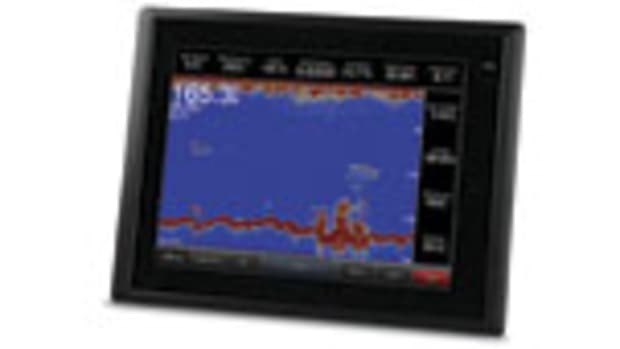 ● Available through accessory cards or downloads, the new versions of the charts offer worldwide coverage with a seamless chart presentation and will work with Garmin chartplotters. 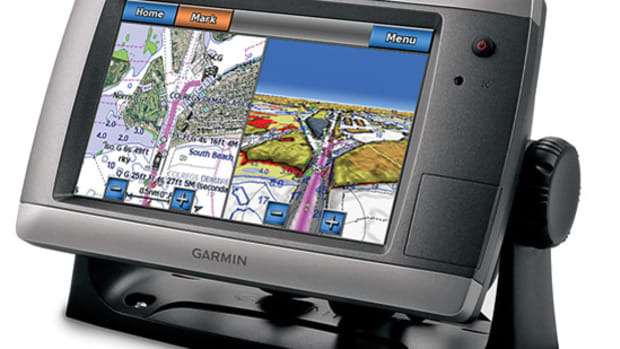 ● BlueChart g2 Vision HD includes the company’s Auto Guidance 3.0, the latest version of Garmin’s proprietary automatic routing function, which takes the boat’s dimensions into account when planning routes across waters and under bridges depicted on relevant charts. 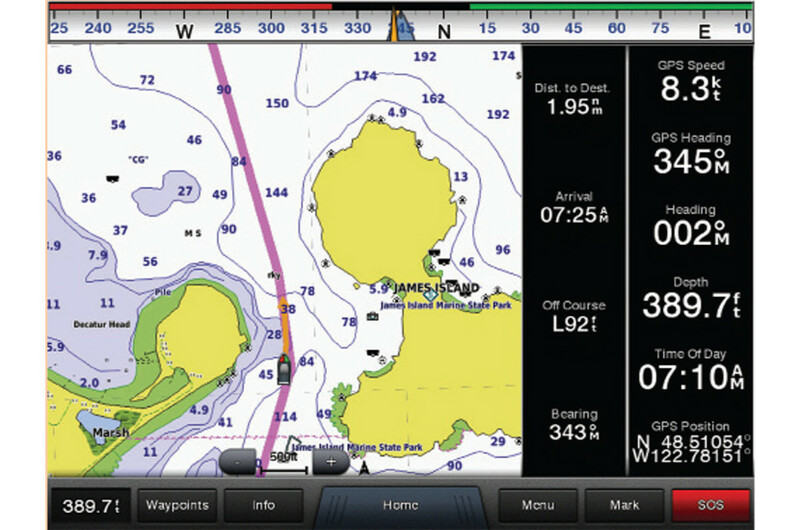 The feature will offer guidance to the user in finding, entering, and exiting marinas. 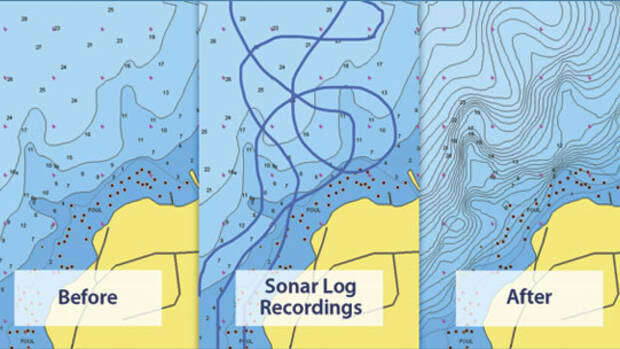 Benefit Analysis: Auto-routing will continue to improve with better cartography data, and these charts will help make the most of it.